He bought the iPhone X. Despite all the advice and all the time to consider his options, he chose what he wanted. And he paid every penny of the purchase. 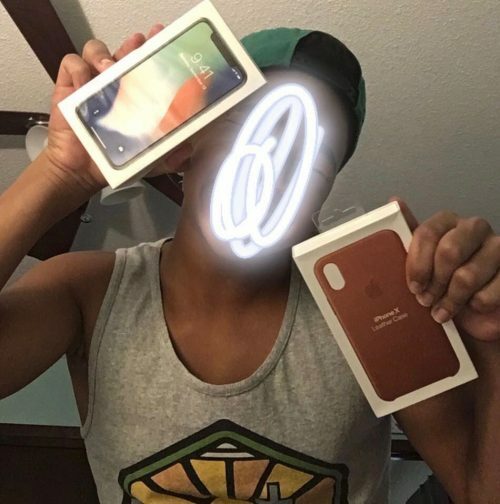 Gymnast is thrilled with his purchase of an Apple iPhone X and case. He wanted the focus to be on his prize! 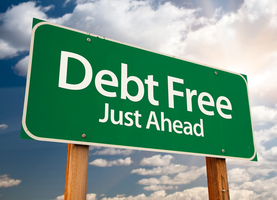 According to several personal finance experts, they say to hold off on big purchases for at least 30 days. He was forced to hold on to this dream for over a year. They also say to pay cash. He had to do this as he had no other option. And of course, it is always advised that you watch for deals. He was able to get the $1,000 phone for $549 + tax through my business account with Verizon. All in all, without knowing it, he followed all the expert advice on making such a large purchase. Gymnast has heard feeback from alot of people on this purchase. No way, no one, let alone a teenager needs a $1,000 phone. It’s just a phone. It will just call and text like any other phone. Think of all the other things you could do with that money. What if you break this one too? Since you have broken every other electronic ever. To be honest, I don’t know many adults that hold off on dreams that long. Typically by the time it comes around, they have moved on. First, off I am very proud of his diligence and “stick with it-ness.” He’s stood up to just about everyone we know to pursue what he wants. Although, I don’t agree with it in this case, I can’t help but be proud of this characteristic. Standing up for what you believe can be hard, especially when everyone tells you that you are wrong. While I won’t say he sacrificed a great deal because the bulk of the money came from his birthday. He did work VERY hard for half of it. And he made a wise decision is purchasing a good case first, then the phone. He spent the month of July in Texas with my parents, and worked in the Texas heat trimming bushes, cutting lawns, painting dressers and more to earn money toward the phone. All this without knowing how much he was earning. He even earned enough to purchase the back to school clothes he wanted. And while he may be broke now, he is all set for school and is still starry eyed at the phone in his hand. I know many will disagree with me allowing my son to spend over $630 (phone, tax and case) on a WANT and not a need. But I believe he is old enough to make these decisions with his own money. And I also believe he is old enough to learn important lessons from whatever happens next. For instance, he has no spending money now with two weeks left of summer. He already has other things he wants and he will have to wait. And so on. If something happens to the phone, well, he will learn from that too. But for right now, in this moment, my teenage son who has suffered a great deal of loss over the last few years is very proud of himself and very happy with his purchase. And that warms this mama’s heart. That’s a lot of Money to spend on a phone. But he’ll learn from this experience for sure. I agree with you on this on 100%. Often times, we all have to learn the hard way whether something was worth it in the end or not. I am glad he is so thrilled with his purchase and I am also very glad that he had to pay for it all in totality. Sure no one *needs* a $1k phone, but if you’re using your entertainment budget I don’t see the issue. I think learning to save up and plan a big expense is a great habit. Much better for him to learn how to save and plan and apply that to things later in life like vacations or buying cars, than learning to put it on credit for instant gratification. Also I may be biased as when growing up I saved up my money to buy a Nintendo, and there was nothing practical that could do. I say his money, his choice and if something happens to it or he needs money for something else, life lesson learned for the future. He has what he set his heart on, but I don’t think the lesson is over yet. Somewhere in life we have to learn that our value is not in what we possess. Considering I know a lot of grown ups who are financing a $1000 phone, I think allowing a 13 year old leeway to save and pay cash for one and potentially take the risk that means (hope there’s enough left for a case!) is checking off the life lesson category. The hard part isn’t allowing him to get the phone. It’s holding to that limit when he breaks the phone and not rushing to save him. My child did about the same when replacing her phone. I was upset because I was willing to fix her cracked screen and battery on her old phone (cost $125) and she instead spent money from her savings for frivolous. She couldn’t fathom spending $1K, so she bought the 8 instead. Just a wee bit less in price. But she is very happy with it and I am happy she is taking good care of it. Finally. Why was he doing chores for your parents without knowing how much he was earning? That should have been established ahead of time. Did this require any kind of contract in addition to the $549? I’m not aware of Verizon or any companies discounting the Iphone X this much. I will say that case is not very protective. With the phone being glass on both sides, I would recommend an otter box ASAP. I would hate for him to break it. Believe me, we did. But he’s going to have to learn this lesson on his own.